Please click here for a recap of Day 2 including end of day play, and chip leader information. The final eleven players are now bagging and tagging for the night. The floor staff will redraw for their seat assignments for Day 3 play, and it will be posted later this evening. Tomorrow they will return at 12:00 noon for Day 3 play. When they reach the final table of ten they will redraw again for their seats at the live-streamed final table, and will play down to a winner. 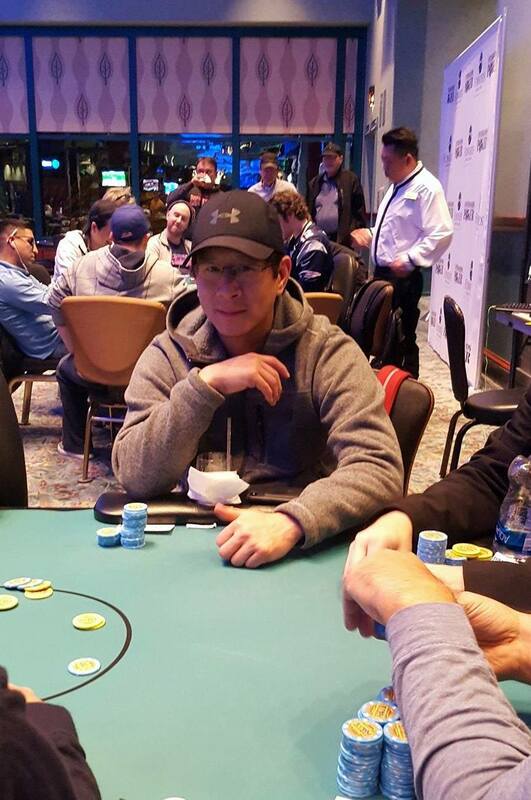 JeWook Oh is the chip leader to end Day 2, having ended with 1,156,000. 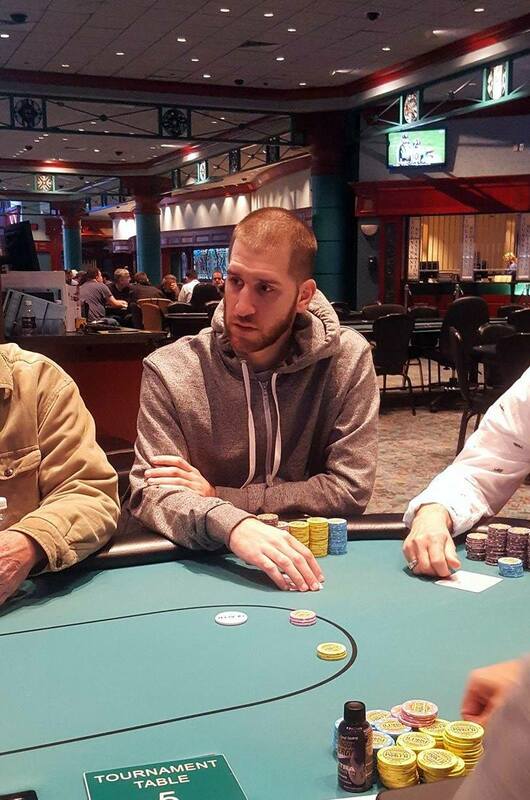 Behind Oh is Steven Berkowitz with 985,000. 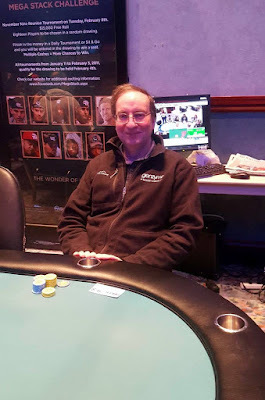 Berkowitz propelled to the near top of the chip counts in the last level of the night after eliminating Jonathan McCard in 15th place and nearly tripling up with pocket aces. To see the full hand history, please click this link. Full seating assignments will be posted within the hour. The remaining 11 players will now play three more hands before bagging and tagging for the night. 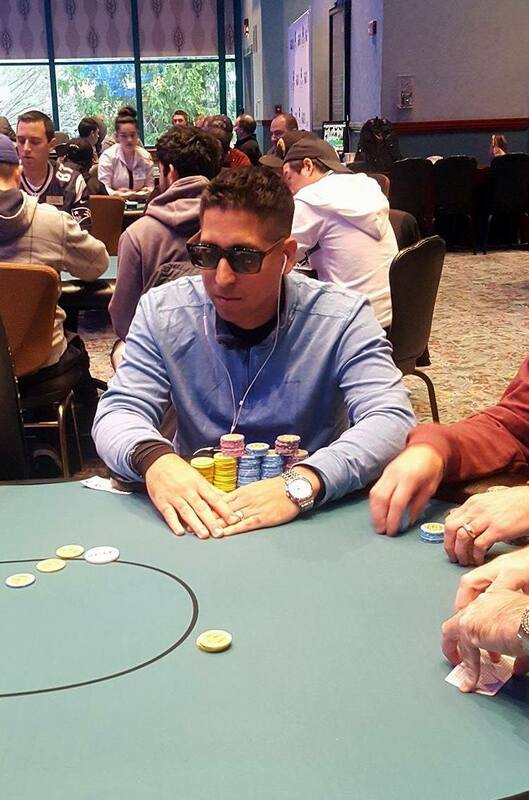 Andres Benitez shoves all in from the cutoff and JeWook Oh calls in the small blind. The flop comes A♣J♠2♦ giving Oh a pair of aces to increase his lead. The A♦ turn leaves Benitez drawing dead, and the 5♦ river becomes inconsequential. Steven Berkowitz opens to 23,000 from under the gun and Jonathan McCard calls in early middle position. It folds to Jonas Bendiks in the big blind who shoves all in for around 600,000, and Berkowitz goes into the tank. After a minute or more passes, Berkowitz shoves for less (373,000). McCard also calls for his 240,000, and the three players table their cards. The board runs out J♣3♥2♠3♦Q♠. 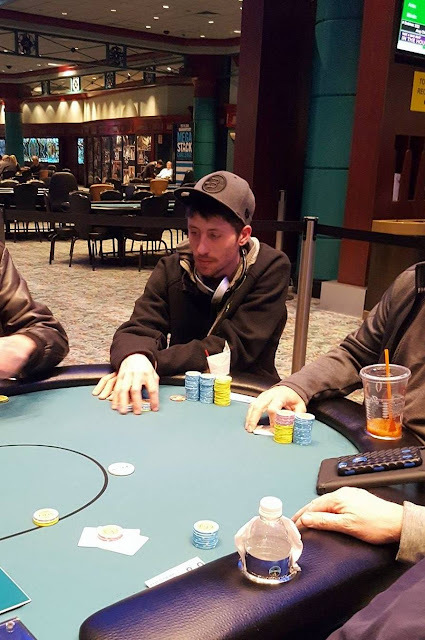 Berkowitz more than doubles up and McCard is eliminated in 15th place. 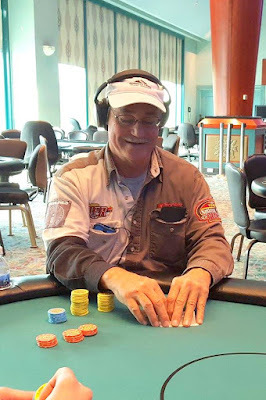 With a board reading Q♣7♣6♠ Gary Lucci is all in and has been called by Jeffrey Yanchek. The 2♥ turn and J♣ river do not change the hand, and Lucci is eliminated in 16th place. This is Lucci's second deep run this series. Just a few days ago he won the seniors tournament for $8,232 and the trophy. 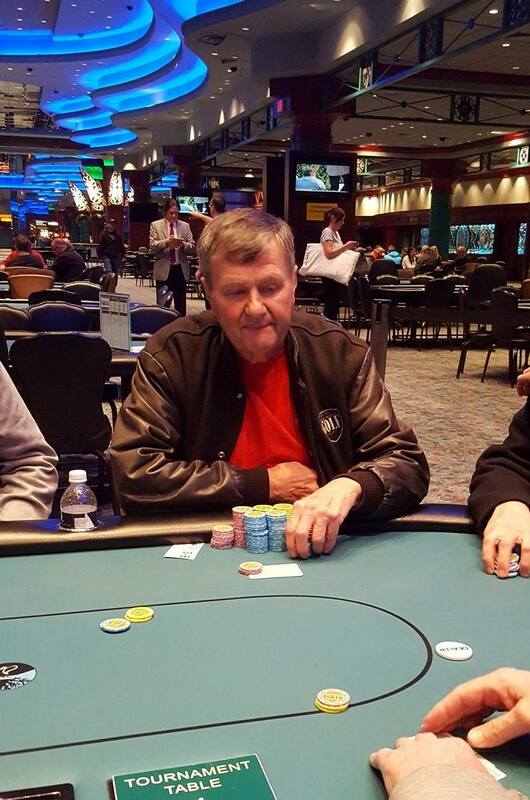 Today, he adds another $4,683 for his 16th place finish in this Main Event. Just after the player's break, JeWook Oh raises to 22,000 in the cutoff and Patrick McConnell shoves all in from the big blind. Oh asks for a count and upon hearing the 125,000 total, he calls. The flop comes 8♥6♠3♦ giving McConnell a pair of eights to take the lead. 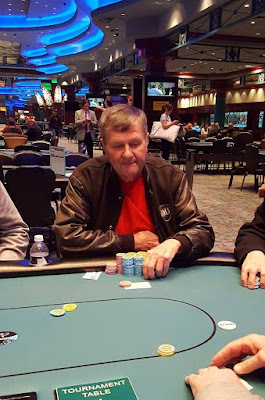 The 9♦ turn and 3♣ river are safe, and McConnell doubles up. There are two more one-hour levels left of play tonight before the players will bag and tag. Those that make it through to Day 3 will return to play down to a winner tomorrow at 12:00 noon. We are now at 17 players, and it's possible that they reach the final table of ten tonight over the next two hours of play. Stay tuned here at foxwoodspoker.com to follow all of the action as it unfolds. Seunghwan Lee completes in the small bind and Zach Donovan checks his option in the big blind. The flop comes K♦K♠Q♠ and both players check. The turn is the 3♦. Lee leads for 9,000, and Donovan calls. The river is the 4♥. Lee bets 24,000, and Donovan pauses for a few seconds before calling. Lee turns over K♣8♣ for trip kings, and Donovan mucks his cards. 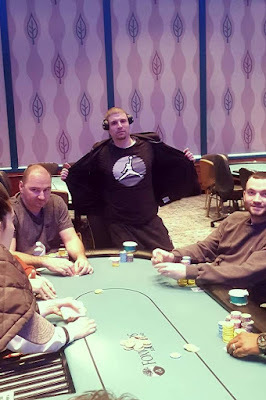 Andrew Lauer shoves all in from under the gun, and JeWook Oh, who is next to act, asks for a count. Upon hearing the 61,000 total, Oh calls. It folds to Andres Benitez who pauses for a minute before folding. 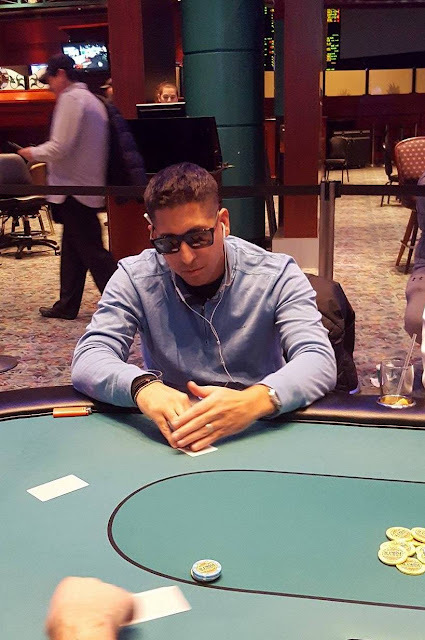 Steven Berkowitz raises to 13,000 from under the gun and David Olshan shoves all in from the cutoff for 33,000. It folds back to Berkowitz who calls and turns over Q♠Q♦. Olshan shows K♣J♣. The board runs out A♥J♦10♦7♣5♣ awarding Berkowitz the pot and eliminating Olshan in 25th place. The remaining 24 players are now all in the money and guaranteed at least $4,037. The final 25 players in the Main Event are now on a 60 minute dinner break. They will return to play hand for hand at Level 19 with 3,000/6,000 blinds and a 1,000 ante until the money bubble bursts and just 24 players remain. For a look at the most recent chip counts please see this link. We are down to the final 25 players which means they are now hand for hand until the money bubble bursts and 24 players remain. The board reads K♥9♠8♠J♥. Patrick McConnell checks in the small blind and Caleb Clarke bets 6,000 in the big blind. McConnell calls. The River is the 4♥. McConnell checks, Clarke bets 18,000, and McConnell raises to 42,000. Clarke quickly calls. McConnell turns over Q♥2♥ having rivered the flush. Clarke flashes Queen-Ten, having turned the straight, and then mucks his hand. "The only hand I call your raise with, in case we were chopping," Clarke says to McConnell. Jean Elie Joseph raises to 13,000 in the hijack and Jovy Ounthongdy shoves all in on the button. Both blinds fold and Joseph asks for a count. The dealer tells Joseph that it's an additional 63,500 on top of the 13,000 to call. Joseph thinks for a few moments before moving chips forward to call. The flop comes J♠9♣9♦ giving Ounthongdy the lead with trip nines. The 5♥ turn and 6♥ river does not change the hand and Ounthongdy will double up. 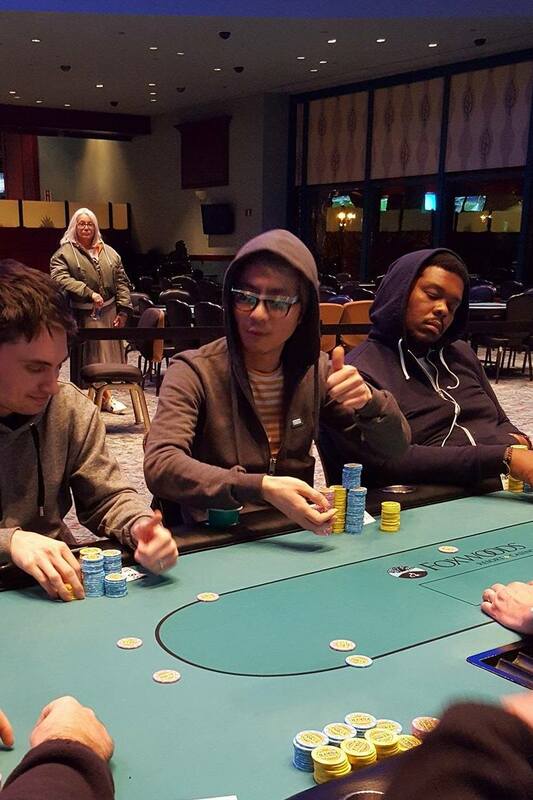 "They should at least be suited Jovy," table mate JeWook Oh says as the chips are passed over to Ounthongdy. 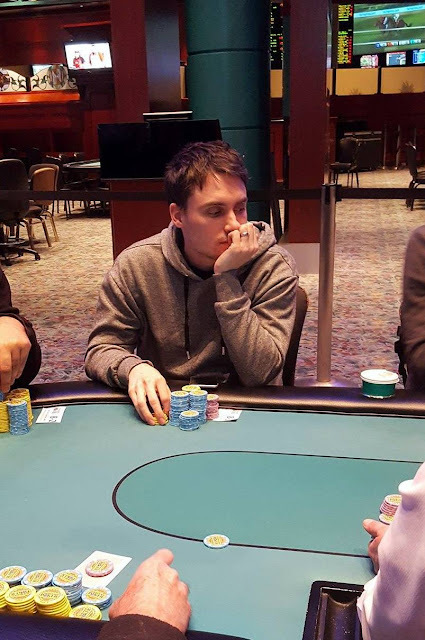 Just a few hands ago, Michael Conway was eliminated by Jonas Bendiks with Bendiks holding pocket queens against Conway's ace king. Fast forward less than an orbit later and with a board reading 4♠3♥2♣ Bendiks has called Victor Paulino's all in shove (for around 45,000) and is again holding pocket queens, against Paulino's 5♠5♣. Unfortunately for Paulino, the J♦ turn and 2♣ river did not improve his hand, and he was eliminated from play around ten from the money. Michael Conway shoves all in with A♠K♦ for less than ten big blinds and gets called by Jonas Bendiks holding Q♥Q♦. The board runs out 10♥9♣8♣3♣5♥ eliminating Conway from play. Corbin Avery shoves all in for around 40,000 in early-middle position and James Magner reshoves for more in the cutoff. All remaining players fold. The J♥7♠5♠ flop comes safe for Avery, but the A♣ turn gives Magner a pair of aces to take the lead. The Q♥ river does not improve Avery's hand and he is eliminated from play. 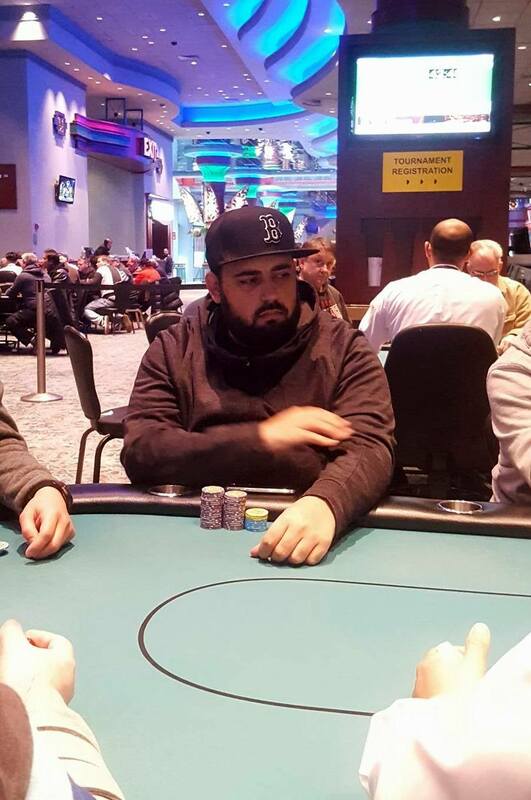 According to Andres Benitez, he recently doubled up after turning a flush. Benitez raised to 7,000, and the player to his direct left reraised to 15,000. Benitez smooth called and both players saw the 6♥4♥2♠ flop. Benitez checked, his opponent shoved all in for around 100,000, and Benitez called for nearly the exact same stack size, 100,000. The 3♥ on the turn gave Benitez the flush, and the Q♦ river became inconsequential. Laurie Hilton shoves all in for around ten big blinds holding Q♠J♣ and gets called by a player holding A♣ Q♦. The board runs out K♥7♦4♣Q♦10♠ eliminating Hilton from play. According to Dino Moustakis, he recently got his pocket aces cracked by a player holding pocket queens. The player shoved all in for around 60,000 holding queens and Moustakis called with his aces. The player flopped a set, and Moustakis was unable to improve. Even after losing 60,000, Moustakis is still in the game with 65,000 (more than 30 big blinds) but says, "I still have chips, but it would have been a lot easier if I had nearly 200,000 right now." A full schedule of all Foxwoods Mega Stacks events can be found here. Here is a look at the 75 total players from both Flights A and B that made it through to Day 2. They will resume play on Sunday at noon. Of the75 players that made it through, 24 will make the money. Click here for full prizepool information.